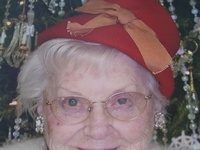 Eunice (Ruud) Severts Novak of Thief River Falls, MN, passed away on Saturday, December 1, 2018 at the North Star Manor, Warren, MN, at the age of 92. 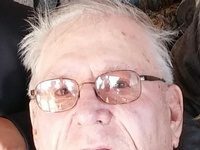 Funeral service will be held at 2:00 PM on Sunday, December 9, 2018 at Our Saviour’s Lutheran Church in Thief River Falls, MN. Interment will follow at Riverside Cemetery in Middle River, MN. Visitation will be held from 5:00 PM until 7:00 PM, with a 7:00 PM Prayer Service on Saturday, December 8, 2018 at Johnson Funeral Service in Thief River Falls, MN. Visitation will also take place one hour prior to the funeral service on Sunday at the church. 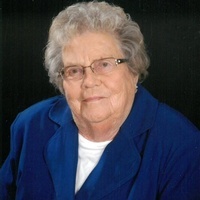 Eunice Ruud was born on August 24, 1926 in Gatzke, MN, the daughter of Minnik and Constance (Johnson) Ruud. She attended school in Gatzke through the 8th grade and due to her father’s illness she stayed at home and helped on the family farm. In 1967 Eunice returned to school, graduating in 1968 with her LPN degree. On December 21, 1946 Eunice was united in marriage to George Severts. They made their home in Gatzke, moved to Minneapolis, and returned to Gatzke in 1960. To this union two children were born, Constance Ann and Darell Mark. In 1964 the family was also blessed with Janis Delaine and Jean Ann Scramstad. In 1967 the family moved to Middle River, MN, where they made their home until George’s death in 1984. Eunice then moved to Thief River Falls. Eunice was married to Joe Novak in September of 1989. While living in Minneapolis Eunice worked as a nurse’s aide. When she returned to Gatzke, she and George owned the grocery store. After returning to Middle River she worked at the Northwest Medical Center as an LPN, retiring in 1989. 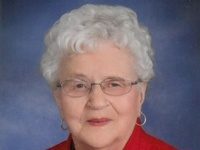 Eunice loved baking and cooking, spending time at the lake, auction sales, and spending time with her family. Her Christian faith was strong and very important in her life. Eunice is survived by her children, Connie (Walter) Leach, Janis (Dwight) Peterson, Darell (Karen) Severts, and Jean Johnson; grandchildren, Nikki (Patrick Nieman) Leach, Shannon(Kelly) Leach, Shawn (Toni Giddley) Leach, Gwen (Thomas) Summers, Tracey Regimbal, Mark (Tausha) Severts, Tara (Heather) Waltman, Cody (Shelly) Severts, Brandon (Liz) Johnson, and Kristen (Nathan Hennix) Johnson; great-grandchildren, Hailea (Trevor) Page, Hunter (Karlee Johnson) McMillin, Hudson McMillin, Ruby and Marshall Leach, Caden (Megan) Summers, Reid Summers, Shelby (Jory) Davidson, Brynn Regimbal, Addison, Brianna, Harper, and Noah Severts, Everett and Waverly Waltman, Lila and Rome Severts, Bella, Isaac and Maxton Johnson, and Brekka Hennix; great great-grandchild, Ryan Summers; sister-in-law, Lila Ruud and several nieces, nephews, relatives, and friends. She was preceded in death by her parents; husband, George Severts; husband, Joe Novak; siblings; grandson, Andy Johnson; great-grandson, Connor Leach.